should be applied using a 1500-2500 rev/min by polisher, or by hand. 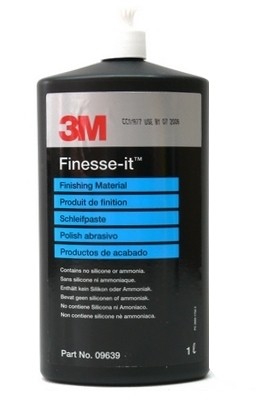 Easy Application Can be used by hand or machine for a Deep Gloss Finish Ideally suited for use with 3M Black 09378 Finishing Pads. This product is easy to use and very versatile, making it a popular choice with the professionals.